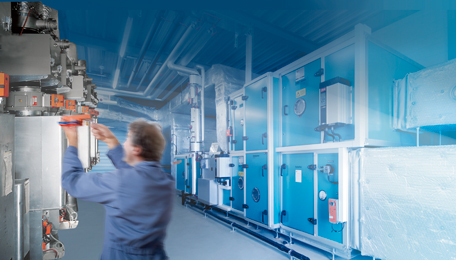 Giving heating, ventilation and air-conditioning plants a new lease of life. Belimo provides special retrofit actuators for replacing and upgrading existing and older damper actuators. Their parameters can be set precisely on site to the prevailing requirements. VAV-Retrofit sets with actuators, pick-up devices and sensors are available for replacing defective or pneumatic VAV devices. Equipping older valves with the best actuator. The latest generation of revolutionary Retrofit globe valve actuators are equipped with a universal valve neck and valve stem adapter, suitable for use with valves from all well-known manufacturers from around the world, making the search for suitable adapters unnecessary. Special retrofit solutions are also available for ball valves, shut-off valves, butterfly valves and mixing valves. 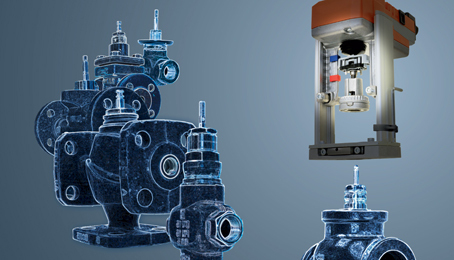 Video: Globe Valve Actuators and Retrofit Linkages.